A hot potato: Apple News+ is big on privacy. The tech giant said it doesn't know what you read and doesn't allow advertisers to track you. "What you read about will not follow you across the web," Apple added. Apple at its Showtime press event on Monday announced its long-rumored subscription news service. 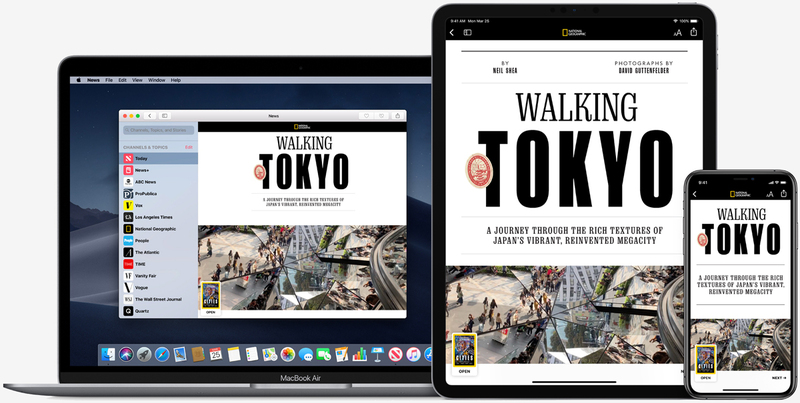 Headlined by the inclusion of magazines, the new Apple News+ service features over 300 periodicals spanning a variety of topics including entertainment, health, lifestyle, travel, fashion and news & politics. Apple said it set out to create the best magazine reading experience ever for mobile devices. Achieving that goal starts at the beginning where Apple has created animated Live Covers designed to catch readers’ attention. "We’re committed to supporting quality journalism, and with Apple News+, we want to celebrate the great work being done by magazines and news outlets," said Lauren Kern, editor-in-chief of Apple News. "We think the breadth and quality of publications within Apple News+ will encourage more people to discover stories and titles they may never have come across before." It’s not just magazines, however, as Apple News+ also includes a variety of premium digital subscriptions as well as access to the Los Angeles Times and The Wall Street Journal. Apple News+ is available from today in the US and is also coming to Canada in English and French (along with 30 Canadian magazines and access to The Star). The first month is free – after that, you’ll pay $9.99 per month ($12.99 per month in Canada). Best yet, family sharing comes at no extra charge meaning each person in your family will get full access to their own favorites and recommendations on their own device. The standard Apple News app is also sticking around as a free news experience. Look for Apple News+ to launch in Australia and the UK later this year.